Sunday ride, tracked with with MapMyRide! Distance: 52.1mi, time: 03:39:22, speed: 14.3mi/h. 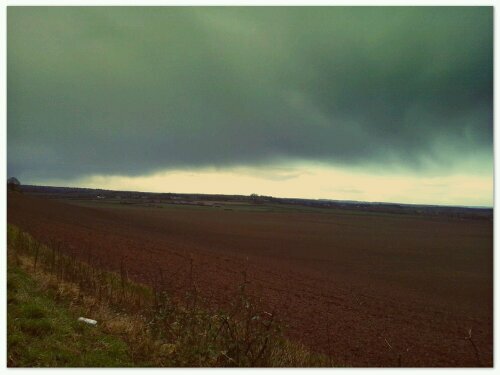 A long ribbon of dark cloud ran from the south-west. Under the darkest parts, the wind whipped up to quite a cold wet blast. William Turner would know this, I thought of him as I was blown along. That tantalizing clear air did blow my direction, only about half an hour after this picture was taken outside Twycross Zoo. 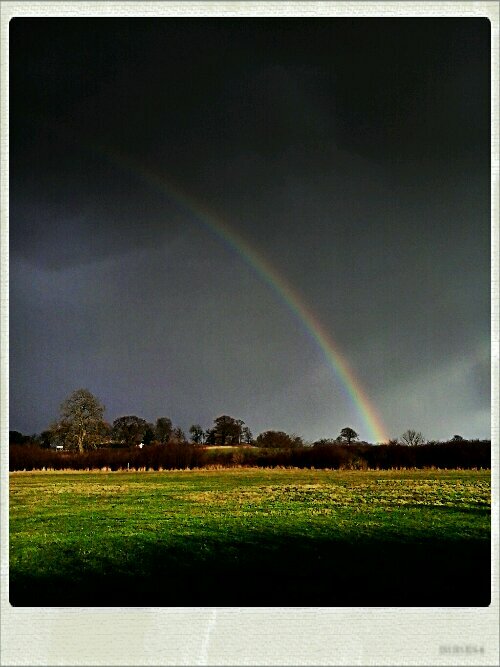 This entry was posted in Cycling, Weather and tagged Cycling, heavy weather, Leicestershire, Sunday. Bookmark the permalink.